These are gloomy times for rear projection TVs - LCD and plasma have pretty much swooped in and cleaned up. Even former RPTV stalwarts like Sony and Philips have dropped the technology. Yet there is a glimmer of light on the horizon - light being generated by a new generation of DLP chips that could yet give both plasma and LCD a run for their money. Rear projection TVs or RPTVs are pretty simple devices. 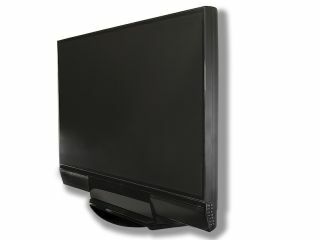 Unlike front projectors where an external projector splashes pictures on to a projector screen hanging on a wall, RPTVs store the projector inside the cabinet and display it on the back of the screen. The big benefit is that you have been able enjoy huge screen sizes for relatively little money, says the New York Times. 1. LCD and plasma makers have dramatically cut the cost of owning a big TV, making RPTVs less competitive. 2. RPTV sets have traditionally had poor brightness levels making them hard to see in ambient light, like daylight. 3. You may not actually do it, but LCD and plasma TVs can be hung on a wall. RPTVs have traditionally had bulky (very bulky) cabinets that make that nigh on impossible. Riding to the rescue, as ever, is Texas Instruments, the company that invented Digital Light Processing (DLP) technology for use in front and rear projectors in the early 1990s. DLP: light at the end of the tunnel? DLP uses millions of tiny micro-mirrors mounted on a chip to send projected light to the back of an RPTV screen. DLP has helped deliver much better quality pictures and stronger contrast ratios than were possible with old LCD or CRT rear projection tellies. But even DLP-equipped sets have been faltering against the combined onslaught of LCD and plasma. Hoping to turn that around, Texas Instruments has come up with a new DLP chip that uses LED technology as a light source, enabling RPTV sets to compete against LCD and plasma for attention in your lounge. To prove it the company unveiled a next-gen LED DLP TV at CES 2008 that is twice as bright as the prototypes it showed off last year. It also has a contrast ratio of 500,000:1 - as good as the latest generation LCDs and plasmas. LED also enables DLP rear projection sets to be much slimmer - so slim, in fact, that they can also be hung on the wall, plasma-style. 240MHz mode: twice as good as LCD? Texas Instruments says its latest generation RPTVs will also have a 240Hz mode. This will enable them to portray fast-moving action much more realistically than today's 100Hz or 120Hz LCD and plasma alternatives. Whether all of this is enough to save rear projection from the great TV graveyard in the sky is moot. But at least Texas is providing the weapons that will help it go down fighting.